NEWS Call To Action: Become a member of PNLT! Call To Action: Become a member of PNLT! 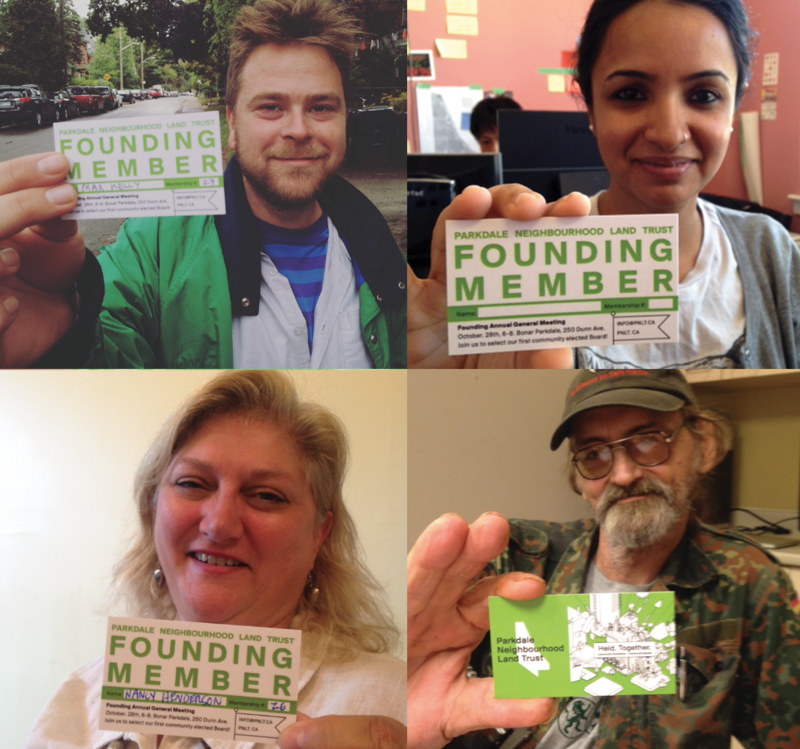 Today the Parkdale Neighbourhood Land Trust launched a membership drive. Parkdale is changing rapidly. This change is not inherently good or bad, but it raises important questions about affordability, diversity, and community assets in Parkdale. The Parkdale Neighbourhood Land Trust (PNLT) was formed to address this issue by redefining how land is owned and developed. 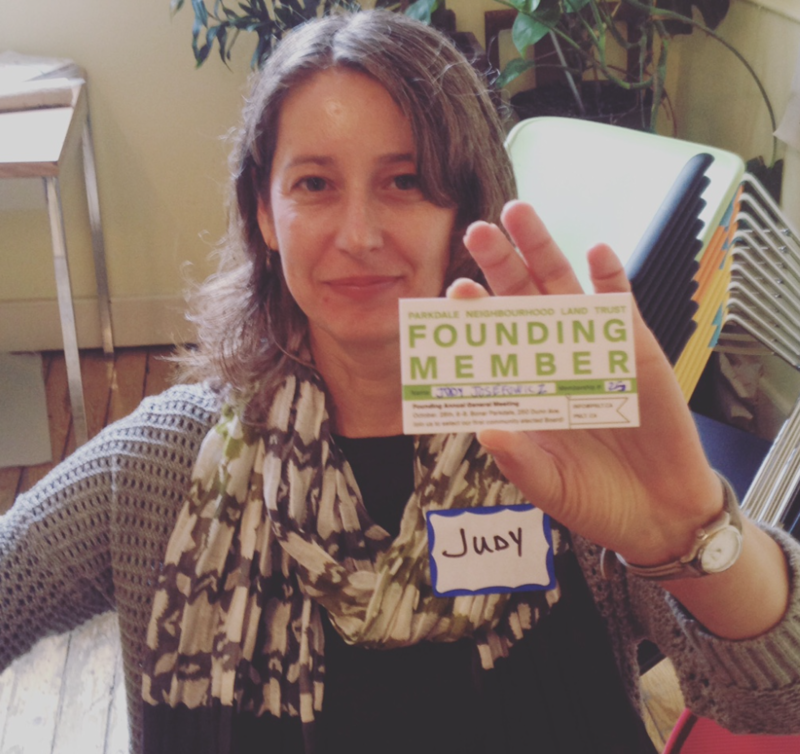 We are a member-based community-controlled organization of people who live and work in Parkdale. Become a member today! Be a part of the movement to keep Parkdale affordable and diverse! Toronto is getting too expensive – it’s squeezing the heart out of our city. Parkdale has always been different; in its own wild way it’s been a place for everyone. But things are changing fast! Rents are going up and people are being displaced. To the east and to the west we see the cranes and glass towers rising – and we know they’re not for us. Everywhere we look developers are scooping up more land. This type of gentrification and real estate speculation is a struggle over land. When land is treated like a commodity it goes to the highest bidder and the people who live in the neighborhood just don’t have a say. The future of Parkdale is at risk. OUR VISION: OWNING LAND TOGETHER AS A COMMUNITY! The Parkdale Neighbourhood Land Trust will both preserve existing assets and work with the government, non-profits and the private sector to assure that the community has a say in new developments.